How 'me' is this top?? 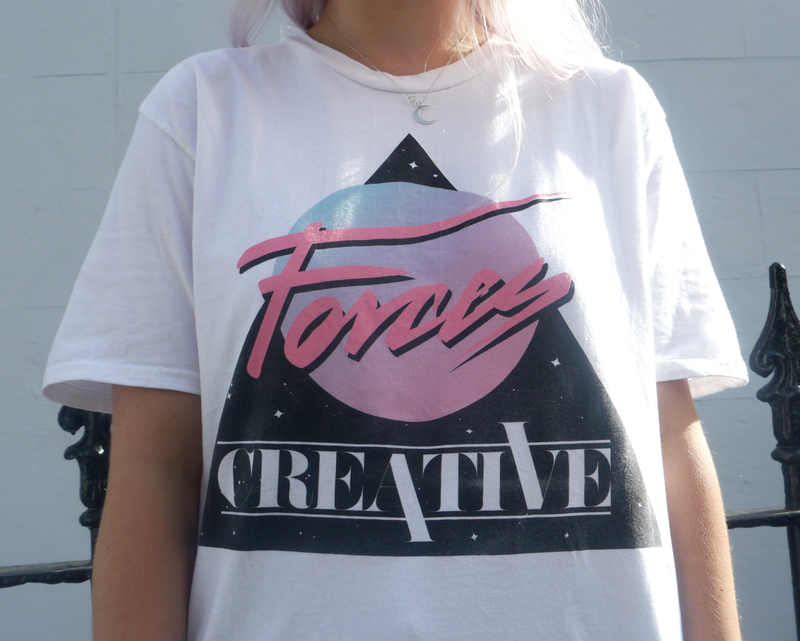 When Forces Creative got in touch with me to see if I'd be interested in one of their tees I didn't even hesitate before saying yes, the colours and design are just so cool! 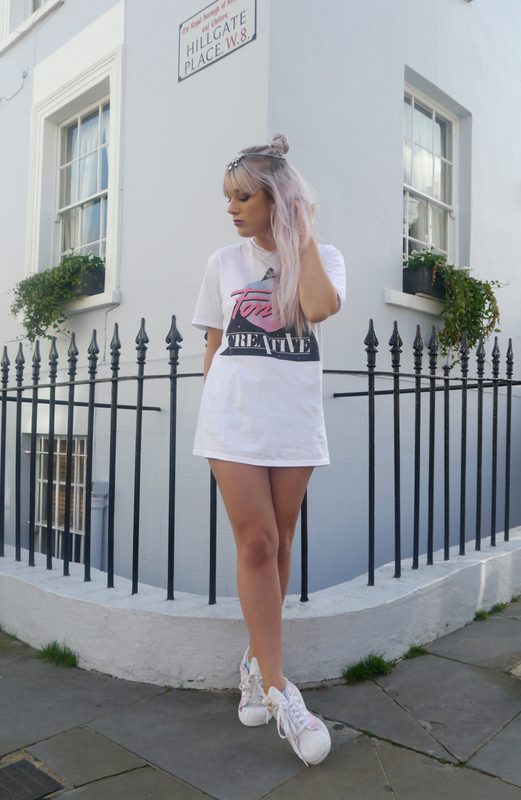 The package also came with a load of 80s pastel stickers so they now cover my diary, books and uni things...it was only awkward when I wore this top to uni the other day and realised I was entirely co-ordinated with my stationery. I also found these super cute, vintage Adidas trainers on Depop whilst looking for an alternative to my white Adidas Honey Lows which I wear constantly. I'm totally obsessed with these trainers and they're perfect now that uni has begun again! Those shoes are so cute, it's almost a shame they're vintage because i wish i could buy them! you legs look amazing!! what tan do you use? Love this look and I am so obsessed with those vintage adidas the pattern is so cute. Love the colours of that top.